Welcome to the home page of the Ulster Karate-Do Federation (UKF). In this site you will find information relating to the UKF clubs, its senior grades, and its members. The UKF is based in the North West of Ireland and it is a very busy organization with events occurring on a regular basis. We have strong links with other reputable local, national and international organizations. 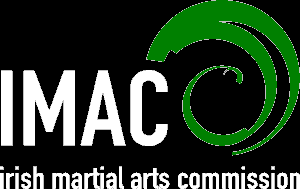 From a national perspective the UKF is a member of Karate Ireland and the Irish Martial Arts Commission (IMAC). From an international perspective, the UKF is a full member of the World Union of Karate-Do Federations (WUKF). The UKF strives to provide the best for its membership through its accredited coaches, its contacts with other reputable organisations and its membership of National and International Governing bodies. The UKF allows its members to achieve their own potential be that in the local, national or international arena. Each UKF member is afforded the chance to participate at a level that suits them. To help students achieve their potential, all UKF coaches are guided by Technical Criteria that ensure that students have met fitness and practice standards. Also, each year the UKF runs accredited coaching courses, refereeing courses, kata courses and karate competitions. While brown belt gradings are held twice a year, black belt gradings are held once a year. On behalf of the UKF membership I hope that you enjoy your visit to the UKF website.